How To Find The Best Flea Shampoo For Dogs? What Is A Flea Shampoo? What To Look For In Flea Shampoo? What Else To Do When A Dog Has Fleas? Which Natural Ingredients To Look For? How To Wash Your Dog With Flea Shampoo? Now when you know what to look for, you are probably wondering what is the best flea shampoo for dogs, and soon you will learn about 5 great choices. Still, you need to remember that none of these shampoos will provide a long-lasting solution and that you need to look for alternative ways of protection. Flea shampoos are for many owners the easiest way to deal with flea infestations, and if your dog is already well behaved during bath times this can be a great way to get rid of these parasites. There are so many great shampoos that will not jeopardize yours and the health of your dog and we will tell you how to find them. The main purpose of flea shampoo is to kill fleas and prevent their eggs from hatching, but it will also clean your pooch and a good flea shampoo for dogs will be gentle towards skin and coat. There are many products and they are categorized into three groups. Chemical These flea shampoos contain laboratory-made ingredients like pyrethrins and pyrethroids. And although they are very efficient, these chemicals can damage your dog’s skin. Natural This type of shampoos are made of natural ingredients like citrus peel extract or d-limonene that attack the fleas nervous system, killing them that way. Organic Flea shampoos are made with oils that are natural repellents an are good at killing fleas. They are also soothing for the skin and good for the coat. Flea shampoos that contain chemical ingredients are often more effective in killing and preventing fleas but some of the chemicals in them can be too strong for your dog. In order to know what are you buying we listed the common ingredients used in flea killing shampoos for dogs. Pyrethrins These are natural extracts found in chrysanthemum plants and they are used as insecticides for more than 100 years. By attacking the fleas nervous system pyrethrins kill it, and although they act fast they don’t provide long-lasting protection. Pyrethroids Are synthetic which means that they are made in the laboratory and not naturally occurring. They work on the same principle like pyrethrins and kill the fleas by attacking their nervous system. The only difference is that they work slower but will provide longer protection. Methoprene Is known as insect growth regulator that prevents flea eggs and larvae to grow up and become adult fleas. This is an important ingredient to look for because there is no use in only killing adult fleas and letting eggs to hatch. Many owners don’t realize that shampoos don’t provide long-lasting protection and are best to use if you don’t want your dog exposed to chemicals or when he has a large number of fleas. The best dog flea shampoo provides great results when it comes to killing fleas in all life stages and ticks, but you need to combine it with other flea control methods in order to achieve the optimal results. Regular vacuuming and cleaning Once your dog is infected with fleas, your house becomes too, so it is important to clean and vacuum often to get your home and furniture rid of larvae and eggs. Treat the environment There is a lot of products that can help you keep your yard free of fleas and ticks. And if your house is still under siege after extensive vacuuming and cleaning you can use sprays or powders that are safe but effective. Treat your dog Since shampoo doesn’t provide the constant protection it is best to use them combined with oral medicines, flea collars, powders or spot treatments that provide longer protection. Nowadays you can find completely natural flea shampoos that work well as repellents but aren’t strong to kill a large number of fleas. In order to obtain the best results you should look for flea shampoo for dogs that can kill ticks and fleas in all life stages but also contains: Aloe vera Is a natural ingredient that will hydrate your dog’s skin and provide much-needed relief to the flea-bitten skin. Shea butter Will keep dry skin moisturized and will protect the natural skin oils of your dog. 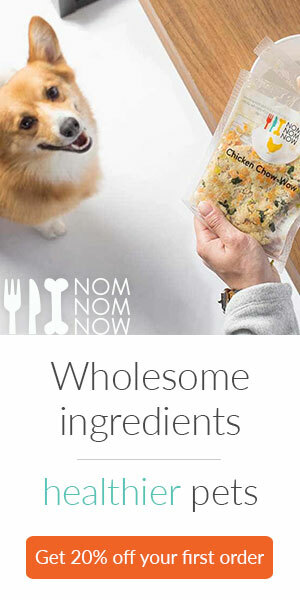 It will also nourish your dog’s dry skin and coat. Oatmeal Posses anti-inflammatory properties, and it can soothe irritated and dry skin. It is a great ingredient that can provide much-needed relief for skin that is damaged by scratching and is itchy from flea bites. Soak your dog with lukewarm water that will make him feel comfortable. Always apply flea shampoo firstly on your dog’s neck. The ring you make will prevent fleas from emigrating and hiding on your dog’s head and ears. After that, you can lather the rest of your dog’s body, try to massage the shampoo as much as you can into the coat. Depending on the instructions on the shampoo, leave it for 5 or 10 minutes in order to work and kill all fleas. When the time is up, rinse your dog completely with lukewarm water until you see that the water is clear. Use a towel to wrap your dog and remove all the water. If he isn’t afraid of a blow drier you can use it on the lowest temperature to dry your pooch.